There's nothing more magical than gazing at a sky full of stars. But the city lights sometimes make it impossible to see more than one or two faint flickers. 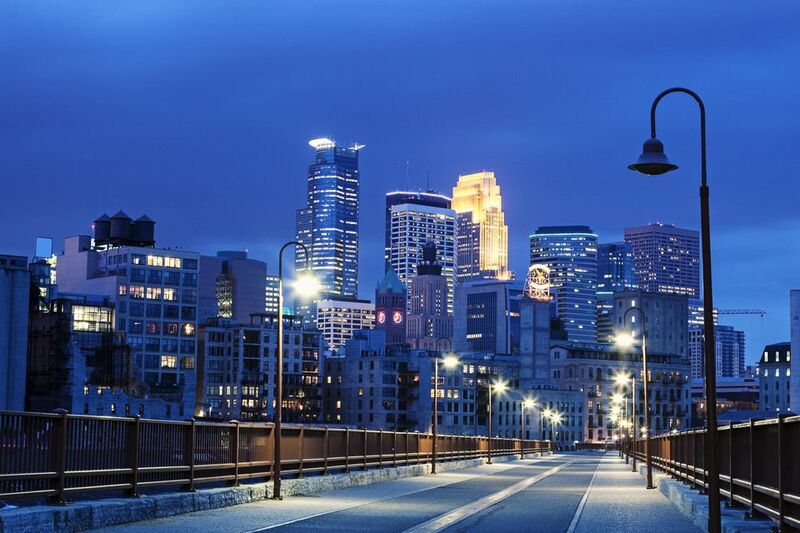 Luckily, the Twin Cities offer a few options for checking out the nighttime light show, from planetariums to traveling telescopes. Here are a few places to brush up on your constellations. Como Planetarium is actually located in Como Elementary School, and while it is mostly used by school groups, the planetarium has regular public programs and shows. It is run by St. Paul Public Schools and has been in operation since 1975. The 55-seat planetarium boasts a state-of-the-art immersive video system transporting visitors into our solar system. The planetarium is available to the public and groups many Tuesdays throughout the school year. There is a $5 admission charge; children under 2 years of age are free. The University of Minnesota's Bell Museum of Natural History opens to the public every first and third Friday night of the month during the spring and fall semesters. Once dark has fallen, students and staff of the department of astronomy give a short presentation followed by stargazing with the University's telescopes. Public nights are free to attend, but viewing is not possible if the weather is too cold or the sky isn't clear. Plans are underway for a renovated museum complete with a new planetarium—The Bell Museum + Planetarium is due to open sometime in 2018. If you're looking to stargaze during the summer months, not to worry. Another University of Minnesota program, Universe in the Park, visits state parks around the Twin Cities providing free stargazing programs June through August. Hosted by the Minnesota Institute for Astrophysics, Universe in the Park is an outreach program featuring a short talk and slide show followed by opportunities to view the sky through several reflecting telescopes. Star maps are also provided and explained. The program generally runs Friday and/or Saturday nights between 8:00 and 10:00 or 11:00 p.m. The Minnesota Astronomical Society is one of the largest astronomy clubs in the US. The MAS has regular "star parties" and operates their own observatory in Baylor Regional Park, near Norwood Young America, about an hour from Minneapolis. The public and those interested in joining the MAS are welcome at many of their events at locations around the Twin Cities. If you become a member and get your hands on a telescope, you can set up to stargaze at Metcalf Field (also known as Metcalf Nature Center), 14 miles east of St.
For stargazing on your own, locations in Minneapolis and St. Paul have too much artificial light at night, making it difficult or impossible to see faint objects in the sky. State and regional parks around the Twin Cities metro area, either in the suburbs or a little way out of town, are a good choice, and you can camp out and stay overnight. Camping is available at state parks like Afton, Minnesota Valley, William O'Brian, and Interstate. Several parks in the Three Rivers Parks District also have campsites. Camping is also available at many other regional parks outside of the center of the Twin Cities.